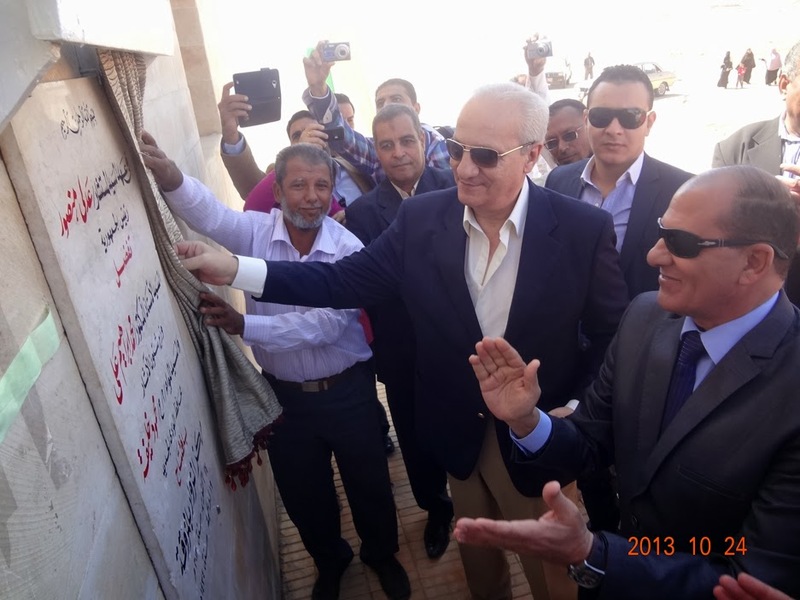 The Minister of Antiquities accompanied by the Governor of Wadi El Gedid governorate opened two tombs of El Mozawaka tombs in Dakhla Oasis this morning. 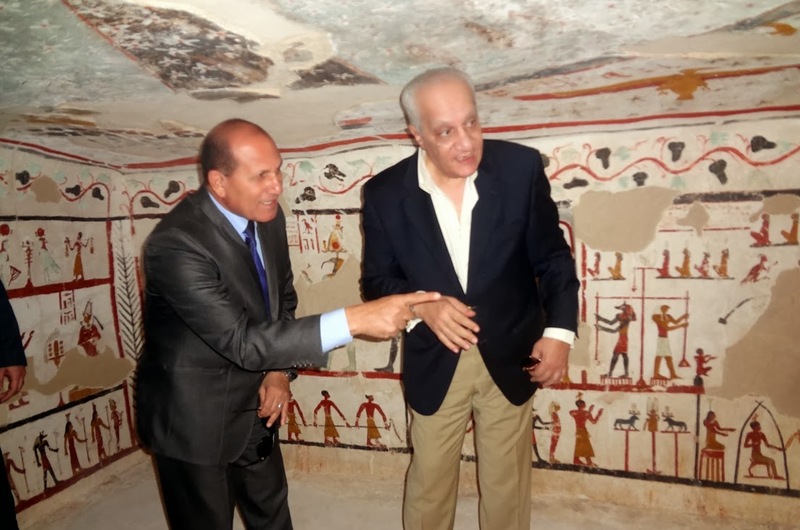 The restoration and conservation project of the rock tombs took 6 years including a visitor centre of 330 meters square at a cost of 3.2 million Pounds. 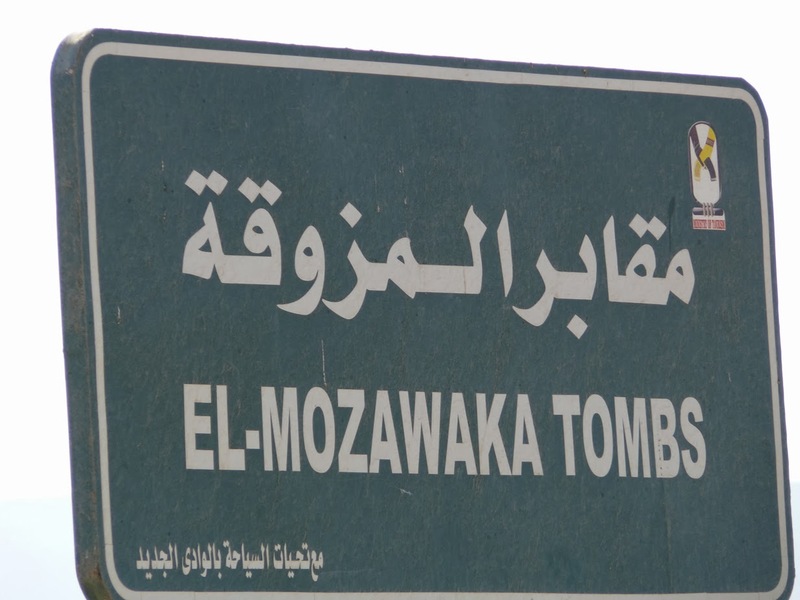 The tombs were opened today are, the tomb of “Padi Osir” and “Padi Bastet”. Both tombs are for two high priests during the Greco-Roman era. Padi Osir tomb consists of two rooms. 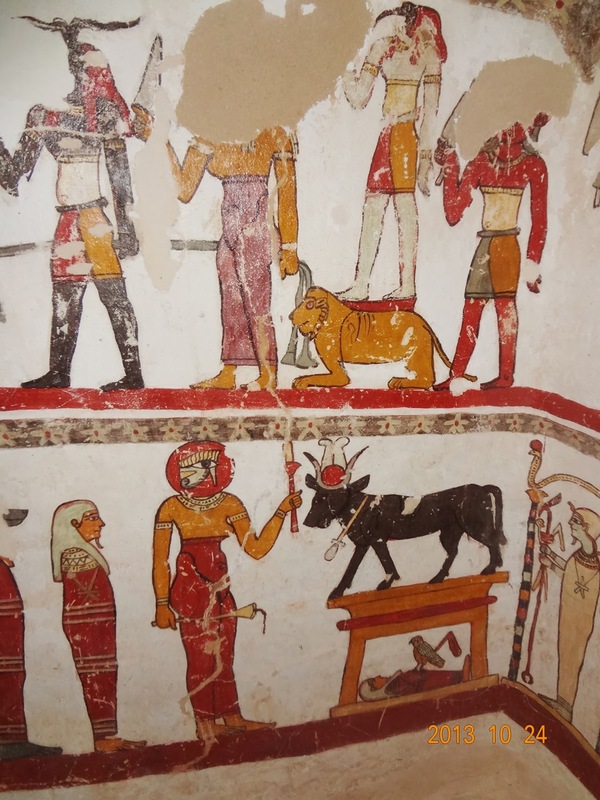 The walls show funerary scenes in bright colours including the zodiac on the ceiling. 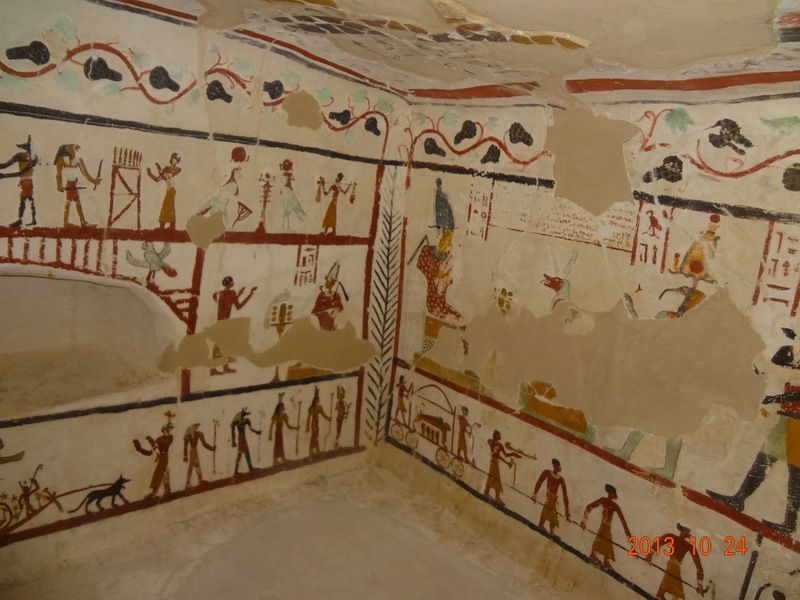 The second tomb, Padi Bastet consists of one room shows also bright colours funerary inscriptions and two niches for sarcophagus. The documentation and restoration process were handled a team of conservators of the ministry. 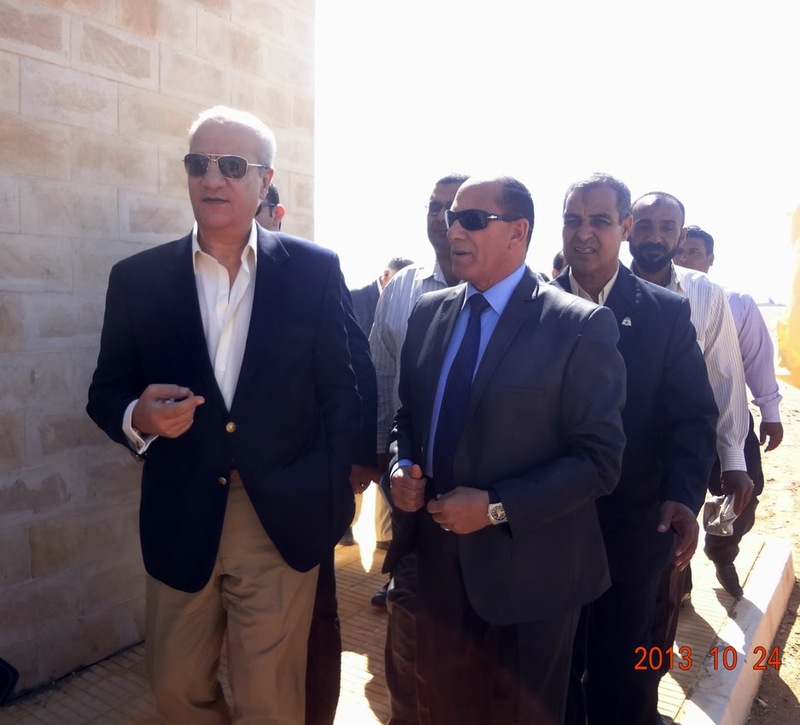 Dr. Mohamed Ibrahim also referred to the measurements which are being taken at the moment by the Ministry to list the medieval town of Al Qasr on the World Heritage List.